Patricia London (Tilbury), Ponta Delgada, Bridgetown, Port-of-Spain, La Guaira, Willemstad (Curaçao), Kingston, Nassau, New York. 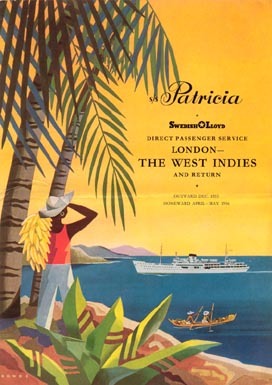 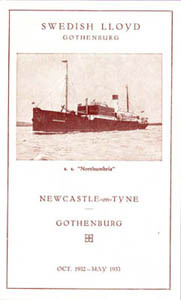 La Guaira and Willemstad omitted on return voyage. 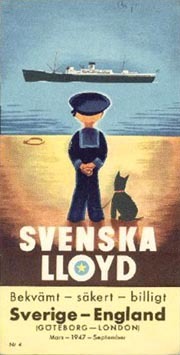 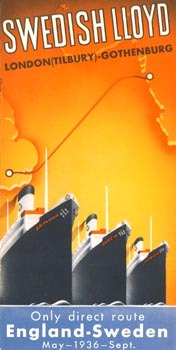 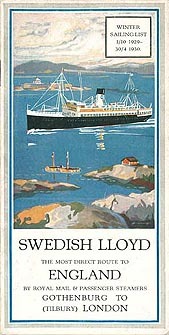 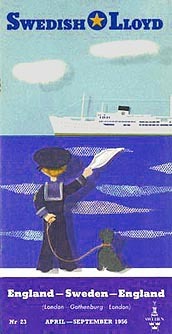 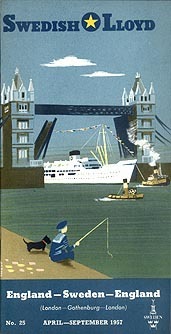 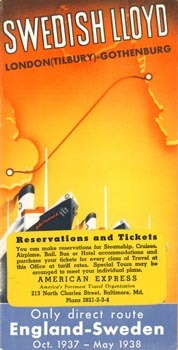 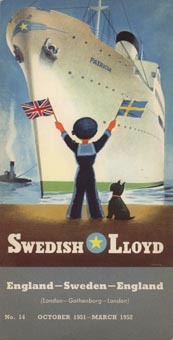 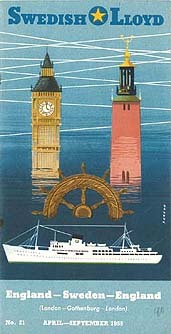 See the archives section for more brochures of Swedish Lloyd. 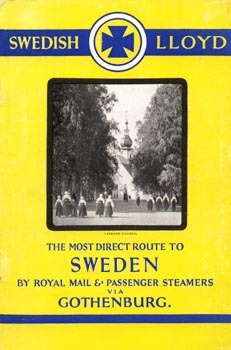 See also England Sweden Line and Ellerman's Wilson Line. 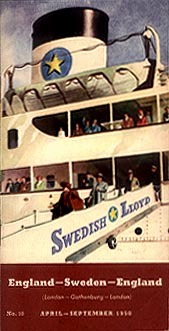 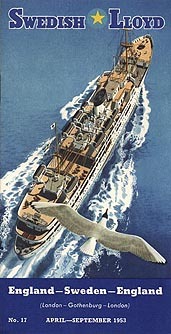 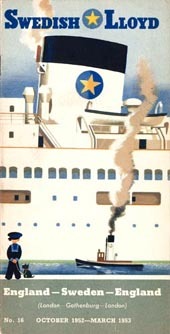 The Simplon Postcards website has a page on the history of the Swedish Lloyd with many postcards/photos. 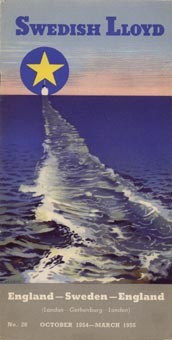 This page last updated August 18, 2016.